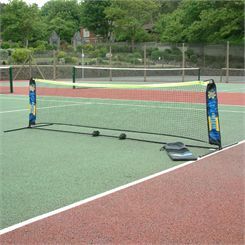 Juniors will love our Mini Tennis Nets from leading brands such as Harrod. All orders are dispatched quickly and at no extra charge. At Sweatband.com we always check our prices too, so that we can give you the best prices possible.